The retired historians who belong to the reading group of which I am somewhat hesitantly the chairperson are politely outspoken in their scorn for works of fiction. They clearly favor reading books called “history” or “biography” — books based on research into what they call “facts” and what I (the retired lawyer) would call “alleged facts,” except that I’m reluctant to stir the pot during our pleasant lunches. However, when I once mentioned to these very serious readers that Robespierre, a historical figure, is supposed to have declared: “Facts are fiction!” — they thought either I was joking or Robespierre was. I don’t know about Robespierre, but I wasn’t. At least not entirely. I do understand that when geologists and archeologists go digging, what they dig up is factual. It exists. But what they make of their pieces of rock or their pot shards is another matter entirely and not necessarily “fact” at all. The construction placed on these discoveries very much depends on what else the geologists and archeologists already “know” and don’t know. Historical and biographical fact is even more slippery. Who recorded the event? How accurately? What was the bias of that person? What did they omit, either intentionally or not? Which allegedly factual records, once made, have survived, and which were destroyed, either intentionally or not, before a later account of them could be made, which itself must be subject to questions about bias and accuracy? Take for instance the contretemps involving a baby originally thought to have possibly been born to the poet Percy Bysshe Shelley late in 1818. The “facts” known until the mid-twentieth century were that his wife Mary did not bear him a little girl at this time and that the poet wrote a letter to his friend Leigh Hunt in England containing obscure references to a “situation” in Naples in December 1818, because of which Paolo, a rascally servant, was trying to extort money from him. There was also recorded gossip between the English expatriates in Italy during this period that Mary’s step-sister Claire Clairmont, who was traveling with them, was the mother of an infant fathered by Shelley. In the 1940’s, a literary scholar, N.I. White, discovered more “facts” about the baby in the official documents in the Neapolitan State archive: a registration of birth of Elena Adelaide Shelley, signed by Shelley, stating the child was Shelley’s daughter and the date and time she was born; a certificate of baptism, also signed by Shelley and also stating the child to be Shelley’s daughter; and a death certificate, dated after the Shelleys had left Naples, stating where and when in Naples little Elena Adelaide had died. The documents also state that the child’s mother was Shelley’s wife Mary — patently a falsehood. Not only was there not a shred of other documentary or testimonial evidence that Mary had been pregnant or had given birth to this baby in 1818. The baby would also not have been left behind with foster parents (at whose home she died) when the Shelleys left Naples if she had been legitimate, and there would have been no blackmail. So who was the mother? White concluded, with regret, the gossip was true. He noted that Shelley and Claire had had a week alone together the previous April (1818), while traveling to Venice to visit Lord Byron, with whom Claire already had a little daughter named Allegra. He therefore deduced Mary must later have helped Claire hide the pregnancy resulting from her relations with Shelley until the baby was born. Was that fact? Or fiction? If true, how could Shelley, Mary and Claire have continued together until 1822, when Shelley died, and the two women have gone on staying cordially in touch afterwards? Moreover, Claire was devastated with grief when Allegra died, although by then she detested Byron. She showed no emotion whatsoever in her diaries, letters, or to anyone who recorded a meeting with her in 1820 when little Elena died, although she loved Shelley all her life. While I was in graduate school and long past my love affair with Shelley, I nevertheless noted with interest in a copy of the PMLA (Publications of the Modern Language Association) that further Shelley scholarship into this matter had later focussed on an additional fact not known to or considered by White: Claire’s private daily diaries throughout these years had an X in the corner of some pages, but not in the corners of many others. What could that mean? The writer of the PMLA article finally worked it out: Claire had marked the commencement of each of her periods in her private diary with one of those X’s. And there was no interruption of X’s in 1818! Thus, irrespective of what she had done or not done with Shelley while traveling to meet Lord Byron in April 1818, she could not have been little Elena Adelaide’s mother. So in 1975, Richard Holmes, in Shelley, The Pursuit, a fine and in almost all ways authoritative biography on which its author toiled for eight years (and which of course I had to read for auld lang’s syne), placed motherhood of Elena Adelaide with Paolo’s wife Elise, the comely Swiss governess of Mary and Shelley’s two children. He had reasonably persuasive “proof.” I won’t bore you with it. At some point, someone else will come up with another hitherto unknown “fact,” and the probable “fact” of Elise’s motherhood may well become a fiction. Closer to home are the questions now surrounding the presumably factual matter of my mother’s birthday, which has mysteriously become two birthdays. When I was young, she had just one. It was July 16. There was some initial confusion about the year of her birth; for a while both she, and therefore I, said it was 1905. However, when I was in my thirties and we were having a conversation about her age and mine, my father interrupted to correct her. He said she had been born in 1904, a statement with which she at once agreed, since she would never dream of challenging anything my father said. As for me, I could not challenge it on her behalf because it was corroborated by the “27” inscribed on my 1931 birth certificate as “mother’s age.” The possibility that he, the “father,” may have given the hospital officials this information about the “mother” did not then occur to me. However, the manifest of the ship on which she came from Europe to Ellis Island in 1922 lists her as 18. I didn’t see this manifest until after she died, when my older son found it on the internet, but I have to assume she herself told the ship’s purser how old she was, which kind of settles the year-of-birth controversy definitively. At least for me. Unless something more turns up. Although I have always wondered why, if she had been intentionally fudging her age when she said her birthdate was 1905, she’d do it by only one year. If you wanted to stay 39 a bit longer, wouldn’t you have arranged for it to last three or four more years instead of only one? So perhaps it hadn’t been intentional fudging. Perhaps she really didn’t remember. Or had stopped counting. Or something like that. But about July 16 there was, until recently, no question. That’s the day we celebrated with cake and presents, the day she received birthday cards, the day marked in my calendar all the years of her life, and marked in my mind even now. Seven days before mine. Always. Until one of my daughters-in-law decided to construct a family tree for her first-born so he should know from whom he came. Using a website called Ancestry.com, she worked it all out and sent me a copy of what she had done to check the part of it I knew about. Much to my surprise, her tree declared my mother’s birthday to be February 14. At first, I thought my daughter-in-law had found and relied on some reference to the old Julian calendar, which was in use in Imperial Russia when my parents were born. But that would have produced a difference of thirteen days, not five months and two days. I inquired. She said she had found February 14 in Ancestry.com’s Social Security Registry. What could be more factual than that? Social Security? Rock-solid documentation. The government never makes a mistake! But could that be said of my mother? When she worked before marrying my father (who thought it demeaning for a man’s wife to be employed outside the home), there was no Social Security. So she first applied for a card when she returned to the workplace after I was safely in college. I can picture her in the Lord & Taylor Personnel Office in November 1951, applying for her first paying job since her marriage twenty-six years before. A nice-looking forty-seven year-old lady with a charming accent, dressed in a becoming suit and neat pumps with medium heels, her face carefully made up with Helena Rubinstein cosmetics. She was hoping to be hired as a temporary Christmas-season saleslady. She was nervous. They gave her all this paperwork to do. She had to take off her gloves, and fish her glasses out of her purse, and her hand was probably shaking. But why did she put down her birthdate as February 14? Who was born on that day? Not me or my father. Was it her mother? Her brother? Or did some government functionary in a Social Security office somewhere misread her Cyrillic-flavored handwriting when transcribing for future and perpetual reference the information she had written on her application? Perhaps, and more likely, she had simply become confused at having to labor over this bothersome task. I’m sure she handed it in without checking her work. She got the job. But her mistake lives on. The California Registry of Births and Deaths, also available on Ancestry.com, lists the “right” birthdate on her death certificate: July 16. But it was me, her daughter, who supplied that date to the assisted living facility where she died, which passed it along to the California registry. Which means it’s not dispositive in resolving the dilemma. So now my mother has two birthdays, recorded in two separate government registries, where both birthdays will be preserved for as long as such records are kept. Would my mother have cared about the discrepancy? Not a bit. If pressed for an explanation while she was alive, she might have waved the question away with a disclaimer — “I don’t understand such things.” If she could now speak from beyond the grave, she might understand, but what she would understand would be something else. She would shrug the shoulders that don’t exist anymore and say, “What does it matter? It’s past, it’s done, it’s over.” And Shelley might say the same. That’s why I prefer fiction. When well written. You know for sure what you’re getting. The story thus far: In her last post, Bad Girl was confessing to having been greedy and self-indulgent about books, to having bought books more quickly than she can read them. Bad Girl of course is me, the one with the punitive super-ego and a determination to finish whatever I start, however long it takes. That goes for both (a) reading the books on the windowsill and (b) telling you about them. Telling is easier and faster than reading. Are you up for it? 1. War and Peace, by Leo Tolstoy. Three-volume boxed set. I did manage to make my way through half a one-volume edition in my twenties, but never finished. Why begin again? Because two Septembers ago, I re-read Anna Karenina, after more than half a century. This time I loved it so much. The half-century had changed me as a reader. Anna was no longer just the story of an adulterous love affair gone bad, as I once thought, which had made much of the rest of the book uninteresting. It was a whole vanished world brought back to life, a world in which Anna played only a not-so-admirable, although tragic, part, and one I hated to leave when I reached the last page. War and Peace is longer than Anna, so I thought having it in three volumes rather than a single heavy and bulky one would make it physically easier to hold and read. 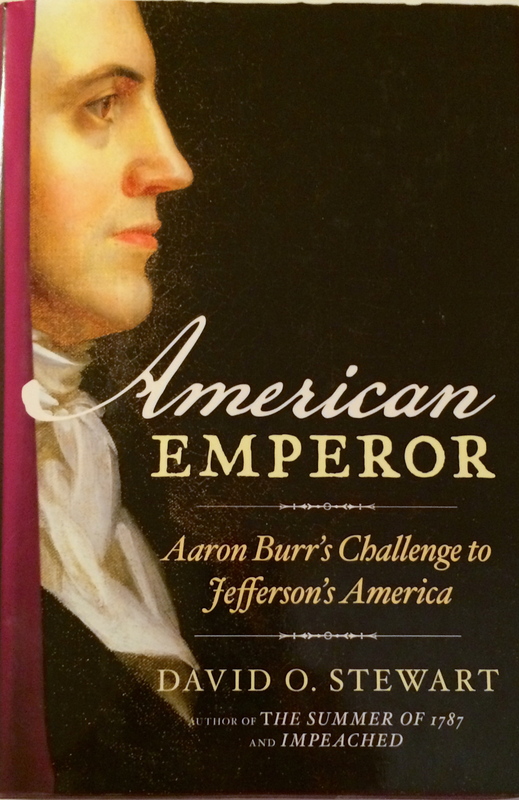 It’s also a beautiful edition, bound in wine-colored cloth. In fact, just telling you about it makes me want to drop everything and begin. Ah, well. 2. Beethoven, by Lewis Lockwood. A year ago Bill and I took a terrific night course at Princeton Adult School on listening to Beethoven’s piano sonatas, taught by Scott Burnham, the Schiede Professor of Music at Princeton University. He was witty, lyrical, enthusiastic, gymnastic, and wore jeans: everything one wants, and rarely gets, all rolled up in a single professor. He recommended Lockwood as the one book to read on Beethoven if we were going to read only one. (In number two place was Maynard Solomon’s Beethoven — the psychological approach to biography. But I had already bought and read that one.) We’ve signed up for a second course with Burnham this spring. He will almost certainly recommend another book. Fortunately, there’s still room on the metaphorical windowsill. 3. 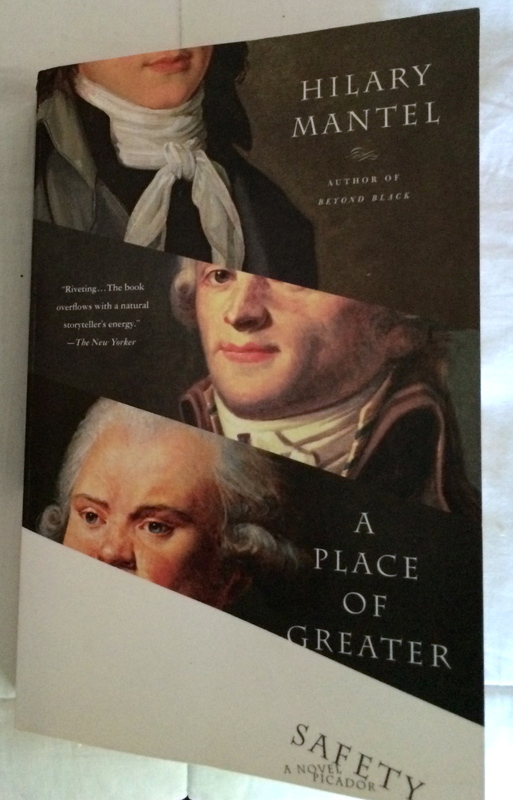 A Place of Greater Safety, by Hilary Mantel. I loved, loved, loved Wolf Hall and Bring Up the Bodies — the first two remarkable books in her three-volume fictional account of the life of Thomas Cromwell. It was so hard to emerge from the sixteenth century when I had finished that I had to go back to read many parts again. Hurry up with the third volume, Hilary! In the meanwhile, there’s this book, also fictional, which she wrote earlier about three men who counted for a lot in the French Revolution: Robespierre, Danton and Camille Desmoulins. 748 pages in paperback, though. Which explains why it’s still on the windowsill. 4. The End of the Story, by Lydia Davis. Davis is the skilled and sensitive translator of the most recent edition in English of Proust’s Swann’s Way. Her ability to tame his labyrinthian, sometimes page-long sentences into beautiful and accurate readability was extraordinary. She also writes short — often very very short — stories, which have been collected and can currently be purchased all together in one book. This one is her only “novel,” and is much slimmer, so I thought I would start with that. Except I haven’t. Yet. 5. This Is The Story of A Happy Marriage, by Ann Patchett. A novelist whose work I have read only sporadically, and chiefly when her short stories appear in The New Yorker (to which I’ve subscribed faithfully, with very few breaks, since I was twenty and a youthful admirer of J.D. Salinger, whose stories were then appearing in its pages). Patchett recently became the co-proprietor of a bookstore in Nashville, Tennessee, where she now lives — so that Nashville should have a place where one can buy the kinds of books she likes to read. I visited Nashville several times during the year one of my sons was working there and concluded that Nashville did indeed need an independent bookstore. Which predisposed me to like Patchett and therefore to acquire this, her latest book — a collection of essays and other short pieces. I am particularly inclined to short pieces, not only because they are short, but because they are what I have been trying to write, both before the blog and also now that I’m blogging. I’ve always maintained that you learn to write by reading. Even at eighty-two. Just give me time. 7. Coin Street Chronicles, by Gwen Southgate. Last fall, Bill and I participated in a seminar course on “Five Angry Young Men and One Woman” at the Evergreen Forum, a lifelong learning program in Princeton designed principally for “seniors.” It was taught by Lee Harrod, an emeritus professor of The College of New Jersey. We read and discussed novels and plays written in England during the two decades after World War II. Gwen Southgate, who I did not know before, was also in the class. As a child, she had lived through that war in England, and had much of great interest to tell us. (Had there been a class vote, we two would have been tied for Most Talkative.) One of the others in the class let it be known that Gwen had written a memoir about her childhood. She is my contemporary. Despite the dissimilarities between us — as you may note from her occasional comments on this blog, which she is kind enough to follow — how could I not buy her book? Now I just have to find time to read it. 8. Lit, A Memoir, by Mary Karr. A mistaken purchase. Last spring, I took a short Princeton University course for auditors about Literary Memoir. A reading list was posted online, but later revised. This book was on the original list and then removed, but I had already bought a used copy of it. Although it was no longer part of the curriculum, I kept it for future reading because it’s a confessional. (“Lit” being a colloquial synonym for “drunk.”) I too once wrote 187 pages of a confessional, which is still on my computer. (Original title: “My Secret Life.” Now retitled. Not about alcoholism.) My 187 pages were intended to be Part I of a two-part book. However, I never could work out how to do the second part and thought I might get some ideas from Karr. Since I haven’t had the time or urge to read her book yet, I still draw a blank on finishing my own. Sorry, no more questions. 9. The AfterLife, Essays and Criticism, by Penelope Fitzgerald. She was a wonderful novelist who began to write relatively late in life. The Blue Flower is unforgettable, but I have also found pleasure in all her other novels, and have re-read many of them. This book, published posthumously, contains her non-fiction. I have no idea what I will find when I sit down with it. I bought the book because what’s in it was from her. When I find an author this good, I’m intensely loyal. 10. Memories of a Marriage, by Louis Begley. Another loyalty choice. It may be good, it may be less good: I don’t care. Begley was an international corporate lawyer at a major New York law firm (he’s now retired) who took a three month sabbatical to write his first book, Wartime Lies, at the age of 63. I give paperback copies of it to everyone I care about. It attached me to him for life, although I am less fond of some of his subsequent fiction, which is concerned with the problems of aging men. (Caveat: Why The Dreyfus Affair Matters, not fiction, is a must-read.) When I see Begley has put out a new book, I buy it. Simple as that. This is the latest. 11. The Conquest of Happiness, by Bertrand Russell. A very used and yellowed copy, purchased last summer after a brief fling with Gretchen Rubin’s blog, The Happiness Project. Gretchen recommended it. She went to Yale Law School and clerked for Sandra Day O’Connor on the Supreme Court before she became a blogger. So maybe she knows something I don’t. Besides, who doesn’t want to be happy? Then I got happier. Not necessarily thanks to her. So I haven’t read the book yet. 12. A Wrinkle in Time, by Madeleine L’Engle. Another Gretchen recommendation. She loves children’s books. (She has two little girls, according to her blog.) This book, I know, is a classic. However, I never read or gave it to my own children when they were young. So I was curious. Curiosity may not kill (if you’re not a cat), but it does result in less space on your shelf. 13. Frenchwomen Don’t Get Facelifts, by Mireille Guilano. Don’t laugh. I have a certain interest in both France and facelifts. [Two summers ago I ventured to explore this facelift business with an actual cosmetic surgeon, but decided no. Didn’t know that about me, did you?] Also, my younger son once made me a present of Guilano’s earlier book, Frenchwomen Don’t Get Fat, when he saw me eyeing it in a bookstore. It was a fun read, and I kept it — possibly because of who had bought it for me. Obviously I needed its sequel. Well, I did. Didn’t I? Didn’t I? 14. Diving for Pearls, A Thinking Journey with Hannah Arendt, by Kathleen B. Jones. 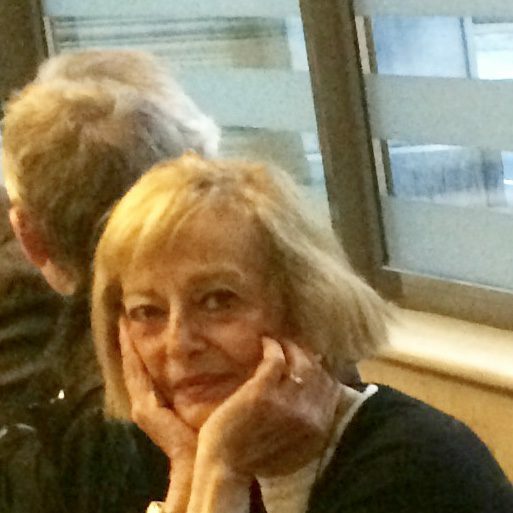 I met Kathy last October at a very crowded fund-raiser tea given in New York by Persimmontree, an online magazine of the arts by women over sixty. I was there with a friend who had contributed a piece to the magazine, as I had done. Kathy was the guest of another contributor. We found ourselves face to face in the crush — many contributors, small private house — and got to talking. She is a retired American academic now living in Bristol, England and writing up a storm. Blog, book, articles. We liked each other, and promised to stay in touch. Then she went back to England. This book on her intellectual/philosophical journey with Hannah Arendt, which she mentioned during the tea, was published last November, after a sizable excerpt had appeared in the Los Angeles Times. I read the excerpt and bought the book. Well, wouldn’t you? Although I’m not much of a philosopher, the reason the book’s still on the windowsill is a time thing. Really and truly. If we do get together again in the spring, which we discussed but now seems to me doubtful considering how busy she is with Arendt conferences, of course I will read it first. (And hope I understand it.) I never show up without having done my homework! 15. Sweet Tooth, by Ian McEwan. Another quasi-loyalty selection. Enjoyed Atonement and Saturday. Thought On Chesil Beach was well done, although I found it hard to believe. (But then I’m not English.) So why not his next one? Sweet Tooth has only been in the house for about two weeks, and I might actually be able to get to it in the foreseeable future, as it doesn’t seem too taxing. It may therefore be only a temporary windowsill resident. 16. 2666, by Roberto Bolano. I forgot why I had bought this and had to look at the cover and frontispiece to refresh my memory. There I learned that Bolano lived in Mexico and Spain, where he died prematurely at the age of 50. 2066 was published posthumously and won major awards in Spain and Latin America. When translated into English by Natasha Wimmer, it won the National Book Critics Circle Award. But in paperback it has 898 pages, which partially explains why I have been slow to begin. But only partially explains. The description of it in The Washington Post is also off-putting: “With 2066, Bolano joins the ambitious overachievers of the twentieth-century novel, those like Proust, Musil, Joyce, Gaddis, Pynchon, Fuentes and Vollmann, who push the novel far past the conventional size and scope to encompass an entire era, deploying encyclopedic knowledge and stylistic verve to offer a grand, if sometimes idiosyncratic, summation of their culture and the novelist’s place in it. Bolano has joined the immortals.” And here is Francine Prose, in Harper’s Magazine: “The opening of 2066 had me in thrall from those first few pages….For all the precision and poetry of its language, for all the complexity of its structure, for all the range of styles and genres it acknowledges and encompasses, for all its wicked humor, its inventiveness and sophistication, 2666 seems like the work of a literary genius.” Will I be smart enough for this book? Or will I go down in defeat? I hesitate to find out. 17. My Early Life, by Winston Churchill. A third Gretchen Rubin recommendation. I read this long ago just after Churchill died, but somehow became separated from my original copy. Since Gretchen recommended it, I bought it again, to see what she thought was so special about it. Haven’t yet re-read it. 18. Wives and Daughters, by Elizabeth Gaskell. A purchase driven by having seen and enjoyed the movie made of the book on Netflix. Wanted more. After a few pages, the book itself proved too much more. Maybe I’ll do better with it another time. 19. Elizabeth Gaskell, by Jenny Uglow. Biography of the author. Don’t say I’m not thorough when I decide to look into something. 20. 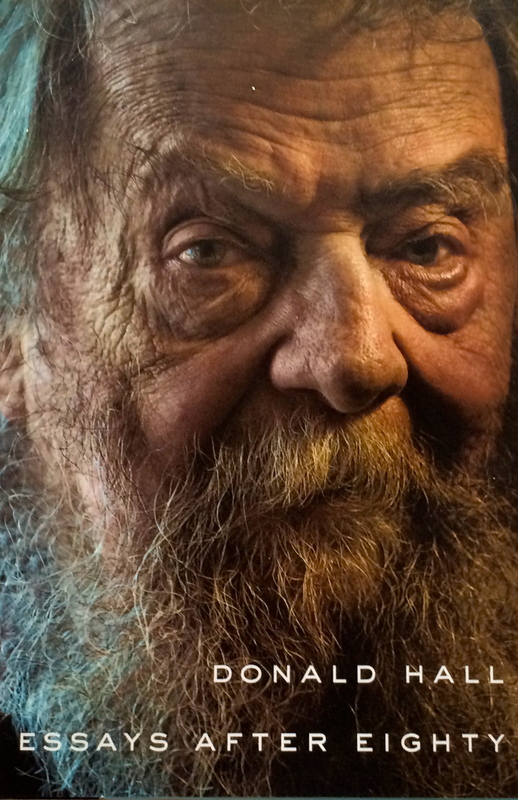 Works on Paper, The Craft of Biography and Autobiography, by Michael Holroyd. I liked both parts of his own autobiography. This one is a collection of short pieces on a subject in which I am interested. Perhaps it will teach me something more about how to write about myself? (Which, as you can’t help but notice, I do quite a bit of.) We’ll find out if I ever get around to reading it. 21. Less Than One, Selected Essays, by Joseph Brodsky. From Bill. Too important to give back. Too gloomy to take to the bathroom. Dilemma. Windowsill. 22. The Pleasures of Reading in an Age of Distraction, by Alan Jacobs. Also from Bill. I do like the title. And it’s a very slender book. So it’s a keeper. For now. 23. Gulag, A History, by Anne Applebaum. The Gulag was, of course, the vast array of Soviet concentration camps that held millions of political and criminal prisoners, and part of the system of repression and punishment that terrorized an entire society. 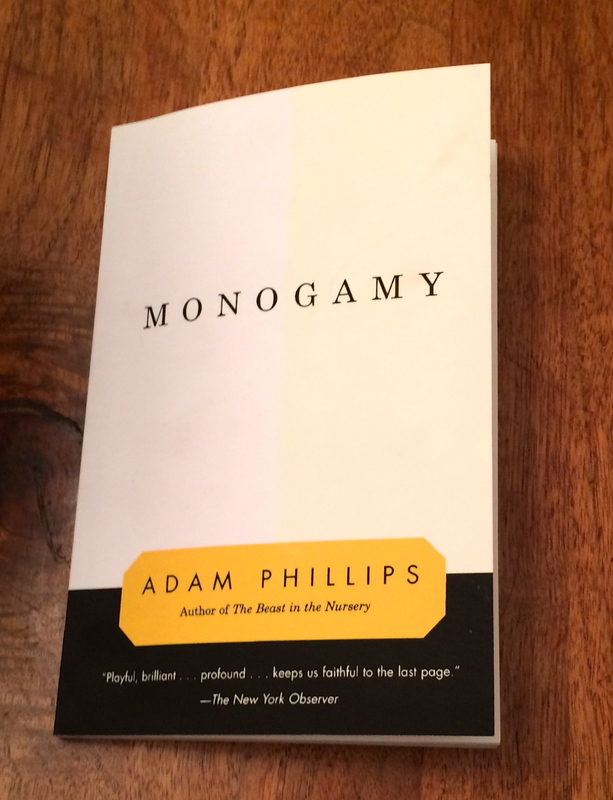 This book about it, winner of the Pulitzer Prize, was so highly praised we bought it twice. I bought it for Bill as a surprise, and Bill bought it for Bill before my surprise arrived. So then he had two copies, and guess who got the other one. I do not dispute its merit. “The most authoritative — and comprehensive — account of this Soviet blight ever published by a Western writer.” (Newsweek) “A titanic achievement: learned and moving and profound….No reader will easily forget Applebaum’s vivid accounts of the horrible human suffering of the Gulag.” (National Review) “Lucid, painstakingly detailed, never sensational, it should have a place on every educated reader’s shelves.” (Los Angeles Times) I modestly admit I am an educated reader, and now the book does have a place on my shelves. But the thing is, I don’t want to read vivid accounts of horrible human suffering. It’s bad enough to know such suffering existed. Must I? I suppose I must. Just not yet, please…. 24. Hermit in Paris, by Italo Calvino. A third from Bill. Probably not long for the windowsill. Flipping through it one day, I discovered a snippy bit about my alma mater. This classy author was arch and snide about Sarah Lawrence College? No, Italo, no! I can be arch and snide if I want, but you can’t. I’m a graduate, you were a guest. If you keep this up the next time I flip your pages, back to Bill you go! 25. Unknown Masterpieces: Writers Rediscover Literature’s Hidden Classics. Bill can’t stop. Why does he keep doing this to me? Doesn’t he think I have enough to read? On the other hand, this one is easy to tuck into a large handbag for reading away from home. Interesting short pieces by writers I have heard of (like John Updike, Susan Sontag, Francine Prose, Toni Morrison, Lydia Davis, Elizabeth Hardwick) about writers I’ve never heard of that the known-to-me writers consider “hidden classics.” Why not? Let it stay. It might come in handy sometime. 26-28. Portrait of A Lady;The Wings of the Dove;The Golden Bowl, all by Henry James. I once audited a course at Princeton on the novels of Henry James and William Faulkner because these two authors, who are each in his own way difficult, represented yawning gaps in my reading experience. In the course, we had time only to read James’s Daisy Miller, The American, The Ambassadors, The Turn of the Screw and four or five of the short stories. Unfortunately, I tend to become overenthusiastic about whatever I do while I’m doing it, although the glow often fades fast afterwards. So it was with James. Wings and Bowl are two of the late difficult novels we didn’t cover in class that I just had to have, and Portrait is too well known not to have read. I was certainly going to attend to all three of them when the semester was over. That was nearly three years ago. 29-32. Go Down Moses; Light in August; Absalom, Absalom; Selected Short Stories, all by William Faulkner. For an explanation of why these are in my home, see 26-28 above. Different author, but same Princeton course, same initial enthusiasm, same result. Shelved, until further notice. In the interests of full disclosure, I admit that I’m omitting discussion of the titles on my iPad, whether from Kindle or iBook, because this post is now far too long as it is, and I can’t believe anyone could possibly still be sufficiently interested in it to scroll down any further. I am also not mentioning James Joyce’s Ulysses, Proust’s Remembrance of Things Past (other than Swann’s Way), Dante’s Inferno and the Shakespeare plays I haven’t yet read, all of which I hope I will read before I die — because I’ve owned copies of them for far longer than three years and if we begin examining my entire library, we will not be done for a very long time. Enough is enough. Even for me. Out of the confessional and on to something else. Any suggestions? Bad Girl buys too many books. She doesn’t go to the library, as a frugal older person on a limited income should do, because she doesn’t want to wait for the book she wants. With books, she’s the instant gratification type. That doesn’t mean she doesn’t wait once she owns it. Her wants are sometimes fleeting. Or they require serious undivided attention for at least a week or more and therefore cannot be attended to right now. Or they may be such frivolous impulse purchases that she feels she’d be wasting time with them best spent elsewhere, and needs a long beach vacation or a broken bone that requires much rest while it heals in order to justify indulging herself in these frothy trifles. As a result, she is behind, far far behind, on her reading. Amazon isn’t Bad Girl’s only accomplice here. There’s also Kindle, for when she really and truly can’t wait even the two days it takes from Amazon. Except she clearly can wait, because she hasn’t read any of these yet either, except some of the Janet Malcolm on the train going in to New York. And let’s not forget iBooks, where three of the five titles on her iPad were free, which is why she acquired them in the first place. Acquired for when? When is she going to sit down for a romp through The Brothers Karamazov, or Shakespeare’s Sonnets? If she ever finds herself on a desert island, will there be a charger station for the iPad? Bad Girl is well aware that the eleventh of her twelve principles for getting better at getting older, as set forth in this very blog at the beginning of the year, is “Invest in Me. (Spend on doing, not acquiring. )” She feels, however, that books are a special case. They may be tangible objects to be acquired. 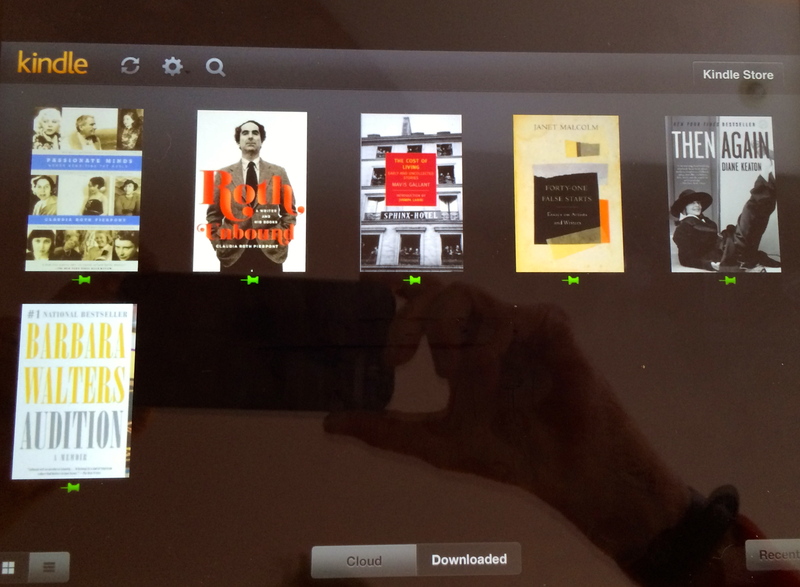 [If in digital form, the tablet on which to read them is the tangible acquisition.] But unless you’re buying books with no intention of actually opening them, solely because you are decorating the walls of a library to be photographed in Dwell Magazine, you’re acquiring them to do something more with them. Sooner or later, you’re going to read them. And reading is doing. As a non-historian, Bad Girl rarely vetoes the choice of those members of the group who are, or were, historians, unless the book looks very long and very dry. The Stewart book was written by a former lawyer, which for her was a plus in its favor; believe it or not, lawyers tend to write clearly, which cannot be said of all historians. It was selected by the others, without demurrer from Bad Girl, because the last book the group read was Gore Vidal’s Burr, a fictionalized version of Aaron Burr’s life and of the political history of the time as Vidal imagined Burr would see it. One of the members of the group who admits he is uncomfortable with fiction therefore wanted to read, as a check on any possible flights of fancy in which Vidal might have indulged, a book about Burr which purports to be all historical fact. This despite Robespierre’s famous declamation that “Fact is fiction!” — which Bad Girl mentioned during the meeting. The proponent of the Stewart book thought Bad Girl was teasing him and brushed past this interesting idea. [As a result, it may become a future post.] Bad Girl is therefore reading the Stewart book. She has until February 28 to finish it. 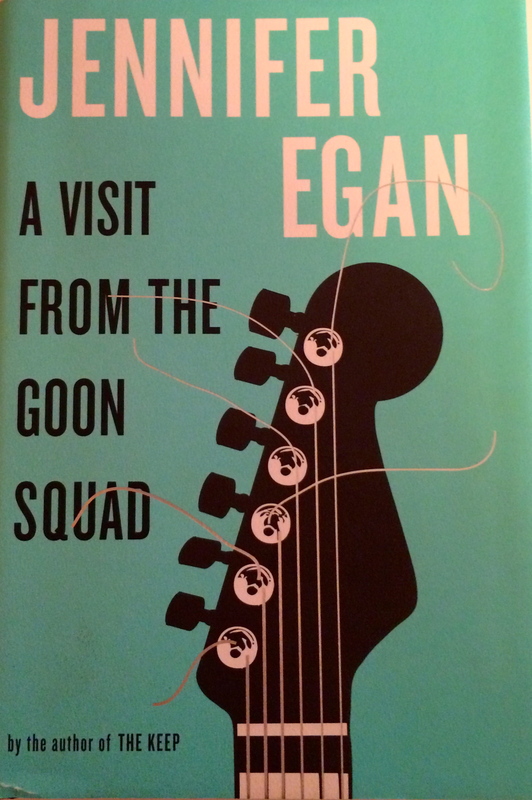 (4) Jennifer Egan’s A Visit From the Goon Squad for January. This fourth book was Bad Girl’s own choice. She bought it when it won the Pulitzer Prize for Fiction and inserted it into the group’s reading for the year because it has been described as “post-post-modern” and would therefore prove controversial with the other ladies. Also because it had been sitting among the unread purchases on her metaphorical windowsill for over a year, and she really wanted a mandatory reason to read it. Now she has read it, and will be glad to offer her thoughts about this intellectually stimulating, highly participatory and beautifully constructed novel if anyone leaves a reply expressing desire for them. Bad Girl also wants you to know that up ahead for the group is Anita Brookner’s Hotel du Lac in February (fortunately Bad Girl has already read it several times); Madame de Stael’s Delphine and Corinne in March; Christa Wolf’s Medea in April; and Henry James’s Portrait of A Lady — already on the windowsill — in May. Moreover, she has an additional excuse for the book-laden windowsill. 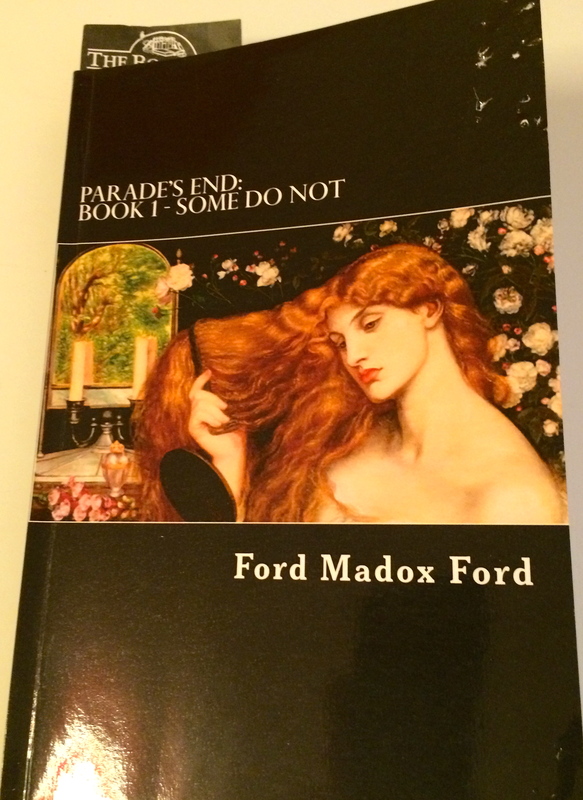 Besides the Egan and Stewart books, she has currently been reading the first volume of Parade’s End. This she purchased so as to better understand the plot of the movie made from the book — a movie she saw only for more Benedict Cumberbatch viewing pleasure than was available until last Sunday, when the third series of Sherlock began. Nonetheless she probably won’t finish the Ford book right now. She’s read enough to understand how Tom Stoppard cut and pasted its separate parts to make the shooting script she couldn’t follow (not having previously read the book). She must hurry on to other things. Sadly, in the near future Parade’s End may well join her many other unread books on the windowsill. Bad Girl did intend to make a full confession here by listing the titles of all the books on the windowsill (for the most part not visible in the photograph) and on her iPad — which holds both her Kindle and iBook purchases — and then explaining why she wanted them, or agreed to accept them, in the first place. But that, as you can imagine, would take many more paragraphs and therefore be too much for one post. Not everyone who visits her blog is as book-mad as she is. However, it is possible she will return tomorrow, in the first person, to finish the job. And perhaps even the day after that — if there are enough pleas for her views on A Visit from the Goon Squad.